colored contact lenses how to wear - . If you are looking forward to change the color of your eyes, there is a big market where you can find colored lenses of annual and monthly replacement, while recently daily replacement colored lenses were released. Actually the latter are considered the best solution for those who want to use them occasionally. The colored lenses are considered safe, since the pigments are not held on the surface of the lens and do not affect the cornea. Furthermore, colored contact lenses can be useful and can disguise with success some cosmetic problems, such as abnormal morphology of the iris, injuries or aniridia (absence of iris). What you can find in optical shops? Today, in optical shops you can find ornamental lenses in a variety of colors, and lenses with different designs and shapes! a) The daily use lenses which have duration of one to three years. b) The monthly colored lenses, which have duration of one month after the end of which they should be replaced. If you have colored contact lenses, they should not be cleaned with cleaning fluids containing peroxide oxygen, as there is a risk to lose their coloration. However, you can safely use other solutions that do not contain this ingredient and are meant for cleaning the lenses. Gradually start using your lenses during the first days, beginning for an hour and then gradually increase the time of use. After the first week, you can use them properly. This period is very important, especially if you have not worn lenses again, to see if they cause you some discomfort. Before buying colored contact lenses, you should be careful in choosing the color. Be aware that if your eye color is too dark, your eyes will look a little darker than the color you want. Should I consult with an ophthalmologist before put on colored lenses? In case you have never before used contact lenses, it would be good to make a visit to an eye doctor to rule out any eye diseases that are prohibitive for the use of lenses, such as disorders of the tear layer, corneal abnormalities, etc. The colored lenses, however, are available without prescription. Can I wear them all the time? In case you wear ornamental contact lenses you should not wear them all the time. Is better to take them off when you get home and there are no longer necessary. Will they affect my vision? Colored lenses can’t affect your vision. Very rarely, in people who have pale iris is likely, when get in semi light, to see a halo around the eyes. This is because the iris opens too much, when there is no light. You should still be careful in their placement, as in colored lenses there is a clear area at the pupil, which allows vision. 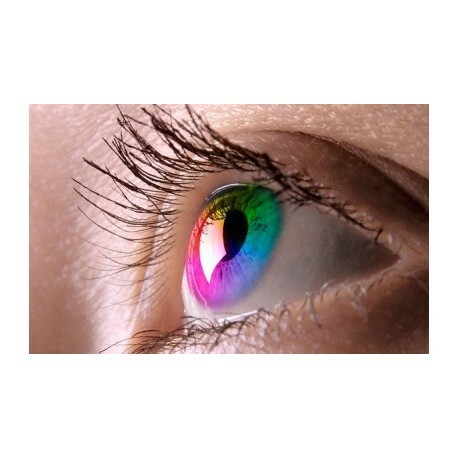 If the contact lens is not properly applied to the eye, the colored area may cover part of the pupil and block vision. This can happen more easily in the dark, where the pupil grows. If I have myopia, can I wear colored lenses? Yes. 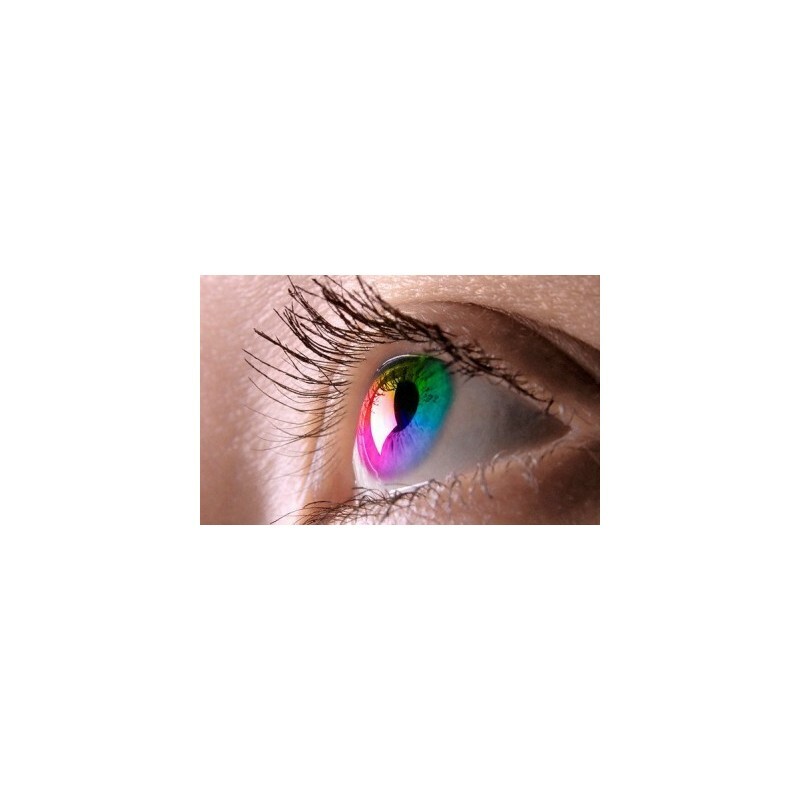 You can find colored lenses that are suitable for the correction of any refractive errors, i.e. myopia or hyperopia. There are also astigmatic colored contact lenses. If I wear colored contact lenses will I see the color of my eyes like others see them? Yes, the color of your eyes, when looking in the mirror, will be the same as people around you see it. Are colored contact lenses considered safe? The colored contact lenses are neither more harmful nor harmless than standard contact lenses. The colored lenses, of course, have colorants. Typically, two layers of rubber which in between there is a layer of colorant, but which cannot be dissolved in the eye. Experts recommend wearing them for a while and not on a daily basis. If the quality of the lens is good, use them according to the manufacturer's instructions for a period not greater than intended and the chance to experience eyestrain is small. If you wear contact lenses, even a small carelessness in cleaning fluids or in their implementation can cause eye problems. To protect your vision, follow strictly the instructions of experts, about when and where you should use your colored contact lenses. On the beach and during swimming, it is advisable not to wear your lenses. If you have no other alternative, you can wear them with caution, avoiding dives with open eyes, because you can lose them. Sand and sunscreen that may accidentally get into your eyes, it is likely to cause further problems. Also in the pool is best not to wear your lenses, because chlorine can irritate the eyes, making your lenses intolerable! Do not forget though that the lenses do not cease to be a foreign body that you put in your eyes, and according to scientists, there is always the risk of causing some damage to the eyes, if you do not use them correctly. As experts warn, however, the uncontrolled use of decorative contact lenses poses risks of infection.